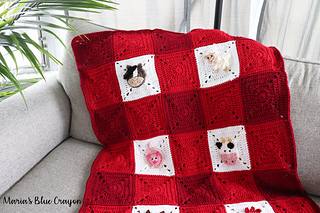 This granny square farm blanket can be made in a baby or throw size blanket. Instructions for both variations are included in this pattern! 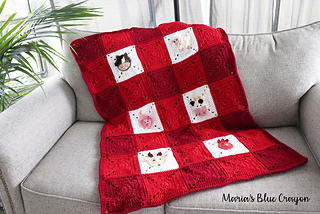 The pattern includes the granny square as well as the six crochet animal appliques. Also included is the layout of the blanket (both baby and throw size). 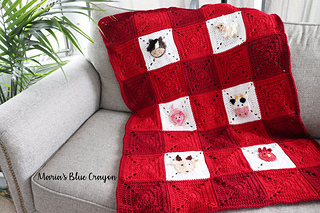 This blanket would make a wonderful baby shower gift or for any animal lover!